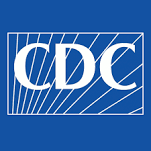 The Centers for Disease Control and Prevention are funding research to rigorously evaluate structural, economic, environmental, or policy strategies for the primary prevention of intimate partner violence and/or sexual violence (IPV and/or SV). Up to $400,000 for the first year will be awarded. Letters of intent are due by February 6; applications are due by March 5. Read the full announcement.